Here are Borderlands 2 Shift Codes for Windows PC / Steam, PlayStation 3 (PS3) / PSN, and Xbox 360 / XBL. 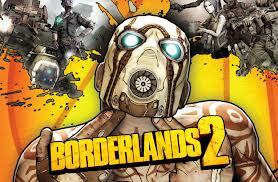 If you want to know how to get Borderlands 2 Shift Codes then you're in luck -- it's easy! You need to check the Gearbox Twitter posts and also Randy Pitchford's posts: HERE and HERE. Remember that these codes give you nice rewards, such as golden keys for special loot treasure chests (like in Sanctuary). Also remember that these Borderlands 2 Shift Codes expire -- so many of the ones posted here may be expired by the time you view them. The bottom ones are newer than the top ones and remember they are limited use (but MANY can use them before they hit that point).